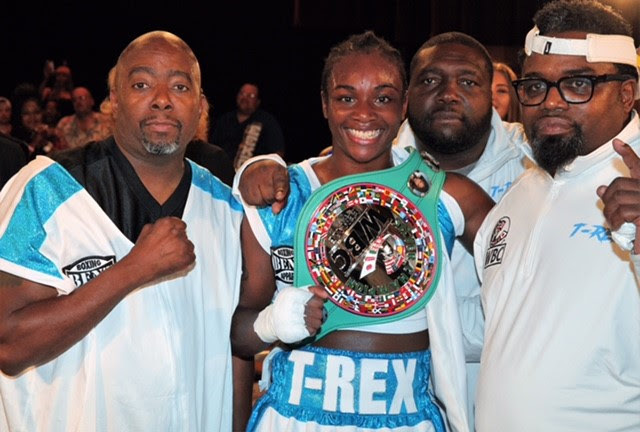 Two-Time Olympic Gold Medalist and Unified Women’s Super-Middleweight Champion Claressa Shields will attempt to become a two-division world champion when she faces unified women’s 154-pound champion Hanna Gabriels for the vacant IBF and WBA Middleweight World Championships at Masonic Temple in Detroit on Friday, June 22. Shields (5-0, 2 KOs) grew up in nearby Flint and was the first American boxer in history (male or female) to win consecutive Olympic Gold Medals. The 23-year-old turned professional following the 2016 Olympics and became the Unified Women’s Super-Middleweight World Champion in just her fourth professional fight. Shields now begins her first camp with renowned trainer, John David Jackson, as she attempts to become a two-division champion. The Downtown Boxing Gym Youth Program is a free, after school academic and athletic program that currently serves 150 Detroit students ages 8-18 with a waiting list of more than 850 students. The gym teaches books before boxing with a focus on tutoring, mentorship and enrichment programs, and has a 100% high school graduation rate since its inception in 2007. The program’s founder and CEO, Khali Sweeney, was named a Top 10 CNN Hero in 2017.